I sat in front of my computer with the dreaded email that read, “Admissions Decisions have been released. Please login for your decision.” My friends and family had been supporting me over the past four months as I worked to polish all of my college applications. Now it was finally time to see the fruits of this collective labor. Pushing my fears of rejection aside, I clicked the link and to my delight, the sounds of “Roar, Lion, Roar!” roared from my computer and I saw the digital letter that stated that I was accepted to Columbia University. Those months of hard work had finally paid off. On May 1st, I entered my high school proudly wearing my Columbia sweatshirt for National College Signing Day. It felt as if nothing could ruin my day at that point until I heard someone whisper to a peer, “He only got into Columbia because he’s Black.” Upon hearing that, I was insulted that someone would want to belittle my achievements because of my skin color. Rather than be happy for my success, I was only viewed as another minority student given an easier chance of getting into a top college. In addition to facing misperceptions such as this in regard to academic achievement, Black male students are faced with negative perceptions of their race and character in the media. 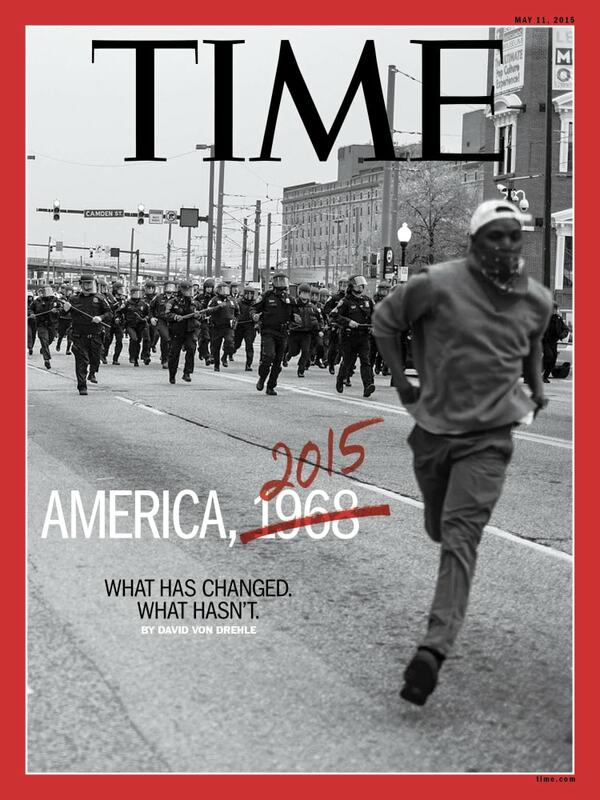 During the protests in Baltimore over the murder of Freddie Gray (a young Black man killed by police officers), media outlets actively chose to depict Black youth as thugs and criminals, bent on looting and destroying their own city. Instead of portraying one of the numerous scenes in which Black youth peacefully protested for justice for the murder of another young person of color, media outlets like CNN chose to only show video footage of pharmacies on fire, Black mothers beating their children, and Black students creating chaos in the streets. Yet when primarily White groups start protests over issues such as their favorite sports team losing a game, media outlets label them as mere disruptions – even when they cause more damage. For our current time period that media outlets have touted as part of the “post-racial” era, America’s media coverage of Black youth harkens more to 1968 Civil Rights-era protests. This misperception of Black youth as criminals rather than as academics has led to nationwide movements to dispel these derogatory stereotypes. One movement, the “I, Too, Am Harvard” photo campaign has explored these issues by showing a set of photos in which Black Harvard students hold whiteboards with notes describing their experiences. These experiences have ranged from being called White all the way to being told that being Black makes being admitted to college so much easier. Now, you’re probably wondering: What do protests and media portrayals of Black youth in places like Baltimore have anything to do with perceptions of Black students in schools? While these two ideas seem quiet disparate, they both are entwined with the underlying American issue of racism. Even as our nation espouses national unity under the auspices of patriotism and accessibility to higher education, we fail to ensure that everybody has an equal chance at these opportunities. In a 2015 report by the National Center for Education Statistics, only fifty-nine percent of Black males graduated high school on time in comparison to a whopping eighty percent of White male students. For a nation based on the premise of every person having a fair chance to succeed, it is clear that this is far from the reality. And even worse, with a subconscious public sentiment that Black people are dangerous, ratchet, and/or inept, these statistics do not do much to help improve the image of Black people in America. By being subconsciously characterized in a negative light in the public eye, the system has become cyclical: pushing Black students into poverty and out of the realm of higher education. But even when a Black student is able to escape this vicious cycle, they are still belittled due to these preconceived notions of what it means to be Black. From off-hand comments such as “You’re so White,” to “Being black must be nice… especially for getting into college,” it is abundantly clear that this “new” America has yet to accept the Black community, but rather still looks down upon it. In our “post-racial” nation, people still do not accept people of color as talented students, but rather as simple objects to represent diversity. So when I heard that classmate say that my acceptance to Columbia was a result of my race, they were subconsciously thinking that the color of my skin defines my intelligence, and that nothing I could do would ever be as great as that of a White student. Even though this nation has made great strides in trying to reduce racial dispairites, we still have a long way to go. And the first step towards a brighter tomorrow is recognizing these pejorative misperceptions.